Try DOS Box see if that works. It emulates DOS from a long time ago so it might work with games released in 1996. If that doesn't work, I'll try to find the game and see if I can get it running. I found out that I actually had the game I was looking for on an emulator for the playstation 1 heh. I am familiar with dos box actually back when Windows Vista was still around. However I used it to play games that I already had like "Shadow President"
But recently I've actually been playing Super Smash Flash. A free fan game based on the "Super Smash Brother's" Nintendo series. It's physics seem to be based on Melee but have elements from future games like the smash trophies that unleash a character to beat your opponents. The game also auto-updates itself which is really cool for a free game but they do take certain things out to work on their compatibility like for instance the smash ball was taken out and is to be rereleased in the next update sometime this year. Also disappointingly there aren't very many unlockables. Mostly stages. So the character set that you get is essentially the only one besides the addition of the sand bag which you get by beating someone who has beat a developer or some other way I forgot. But I got it from playing my friend who had beat a developer anyways. And there is a fabulous online play that works very well. So I am okay with that for now. BTW, just had a game I worked on come out (well, chapter 4). I play Bertrum Piedmont in "Bendy and the Ink Machine"
Ha! My seven year old son wants to play this game! He begs me everyday to let him play it. Like you said, "creepy." I don't think it's appropriate for a first grader. Looks like a great game, I really like the aesthetics. I follow this guy on YouTube who has done voice work for them and he played the game in a few videos. Very good game by the looks of it. Congrats. Thanks Arturo, Davin and Mags! Mags - yeah... I probably wouldn't let my kid play it. A bit too creepy. But then, I grew up on creepier stuff. 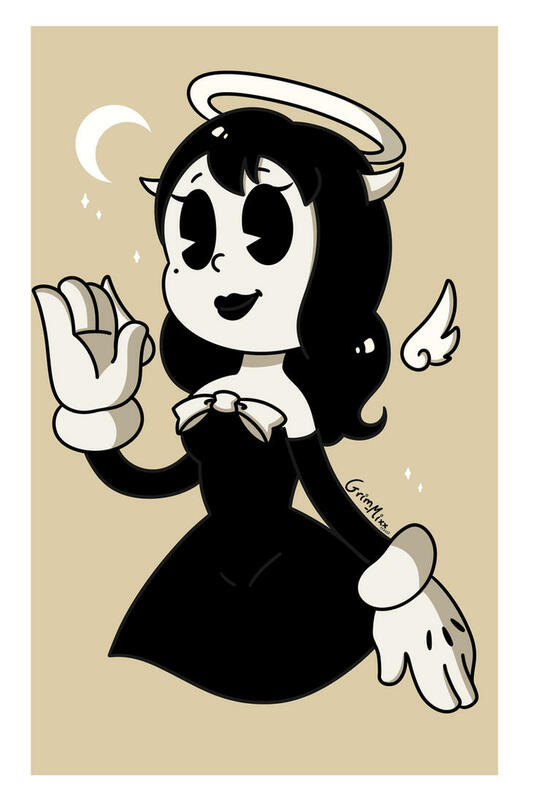 I took my son to the school Halloween party and another first grader was dressed up as Alice Angel, so yeah, the game is very popular among little kids. It wasn't as bad as this kid I met for the first time who was singing "Oppan Gangnam Style"
Anyone here play Mahjong? I love this game! I used to play the matching game. Yeah, though this particular version isn't really, because when there are no more options the game just rearranges the pieces. Gamers are everywhere. Here is an interesting article about game playing in a remote area of Ecuador. I've been thinking...for the sake of my mental health I need to diversify how I spend my time these days, and excluding the casual Mahjong or Bejewelled it's been years since I sat down to play a game. I've been thinking about getting a handheld console so that I could play during commutes and in between classes. I did a little searching online and came to the conclusion that possibly the best handheld console for me would be the Nintendo 3DS (now 'New' and 'XL'). Looked into the PS Vita as well, and while it has a huge variety of PS games according to a couple of reviews I read they aren't actually adding many more. Maybe it was discontinued? I don't know. Anyway, does anyone have any personal experience with handheld consoles? While reading tech reviews is great and all, I like hearing personal opinions as well. I had a 3DS for a while. Very nice system. The 3d is adjustable, and works like looking in through a window. The games I tried were also good. Some new, some retro (and 2d ones). Very playable. I especially liked the VR ones (where you can see the objects in the room with you). You should go to a store (they still have those, right?) to try one out for yourself. Since I'm not much of a gamer, I actually sold mine along with some other stuff on Ebay last year. Unfortunately they aren't in physical stores anymore, so I can't try one out myself before deciding. I would have to order one from an online store and trust that it's what I think it is.